The 4th of July is going to be here before we know it, so I thought I’d better switch out of summer decorating and focus a bit on some patriotic decor. This project is super easy and if you have a little bit of scrap wood, can be made for next to nothing. 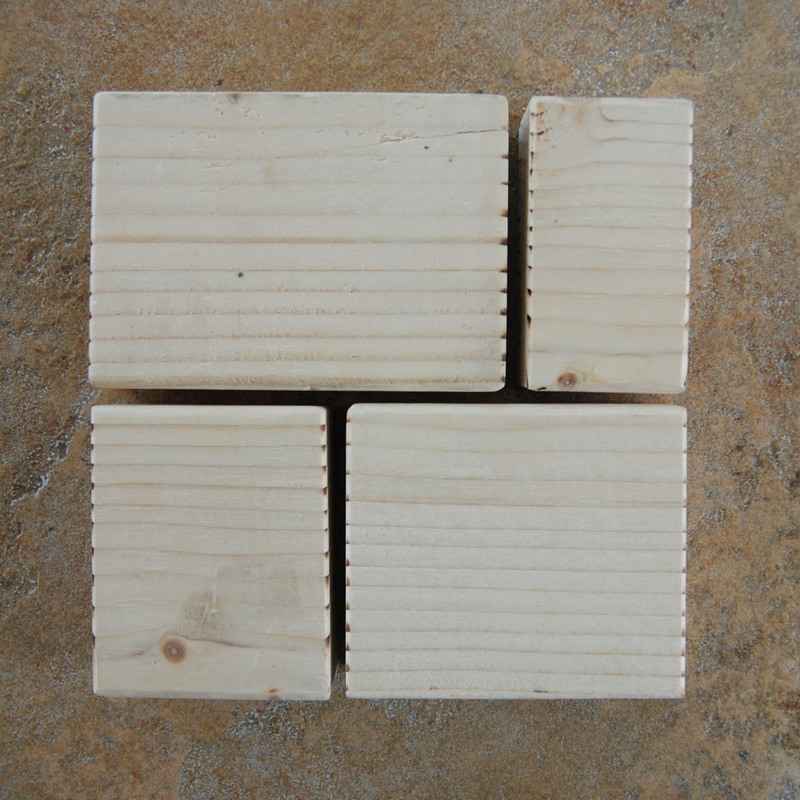 Start by cutting a 2 x 4 into 4 pieces. You’ll need a 2″, 3″, 4″ and 5″. 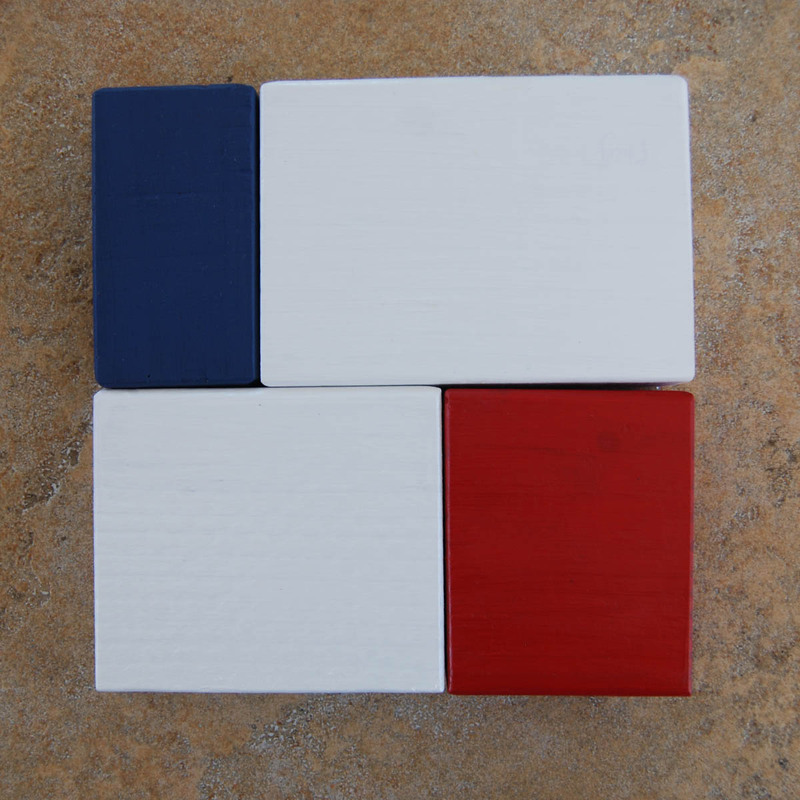 Paint the 4″ and 5″ white, the 3″ red, and the 2″ blue. 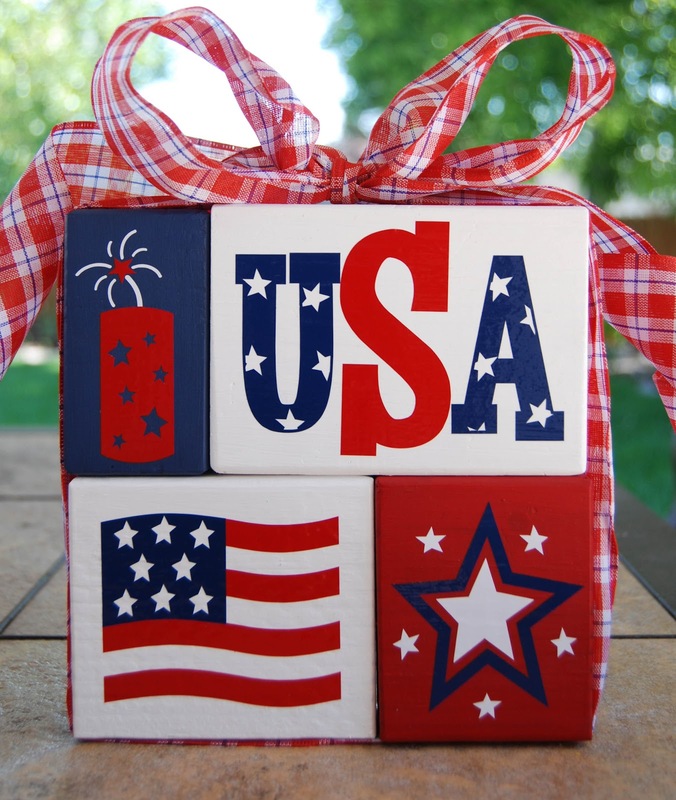 Wrap with a patriotic colored bow and you’ve got a super cute, super easy 4th of July decoration. 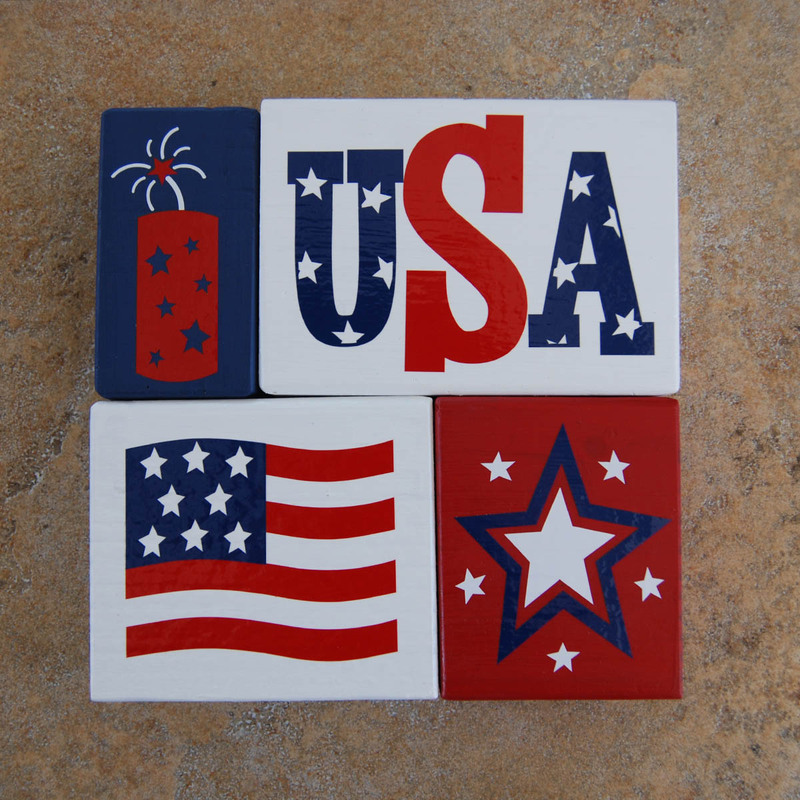 Don’t you love our patriotic colors? They are so crisp and clean and look so good together. Those are adorable. Love the ribbon around them and thanks for sharing the dimensions. 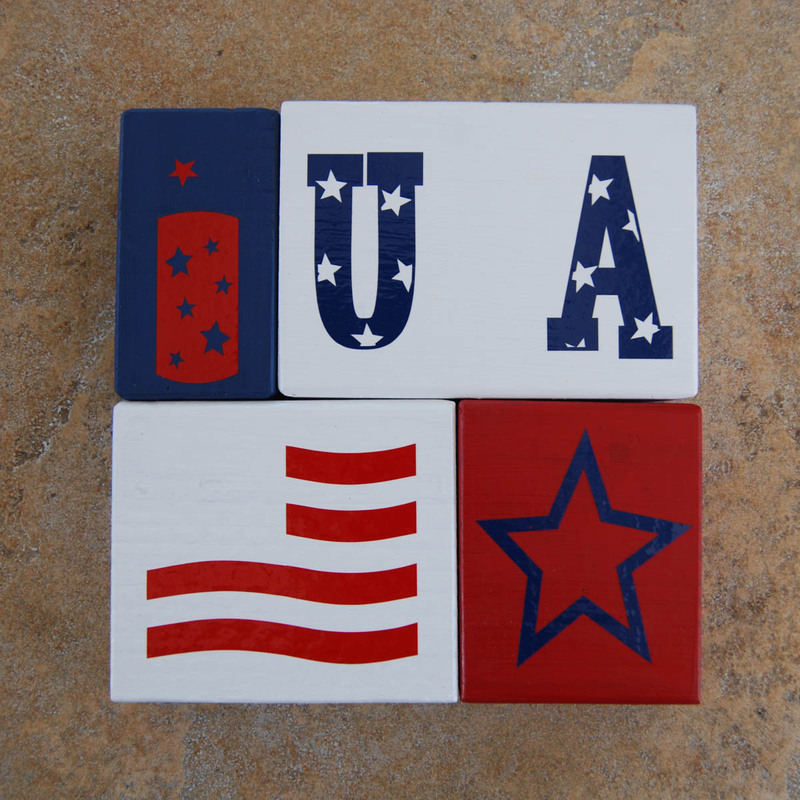 I've been wanting to make some patriotic blocks for a long time and this will help me get started. These blocks turned out perfect! So pretty! I'd love for you to add it on my link party at: http://printabelle.com/?p=5272 Thanks! These turned out great as always. 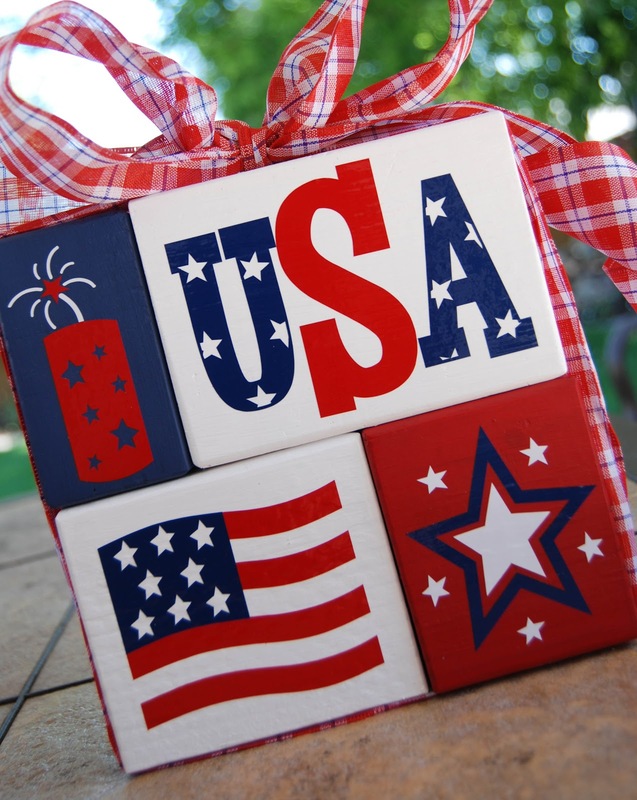 I hope you will link these up to my Patriotic Project Parade! That is absolutely adorable! I love the vinyl! Thanks for sharing at the Pomp Party! Pinning to our Pomp Party board! I LOVE how cute and festive these are! Really cute! Thanks for showing the how-to! Very cute! Love the vinyl and I am going to check your Etsy shop. I would love it if you would link up to The CSI Project this week on Wednesday. The challenge is wood this week. I am going to feature these on my FB page. Perfect for the 4th next week!!! Cute and simple–Thanks for linking up. 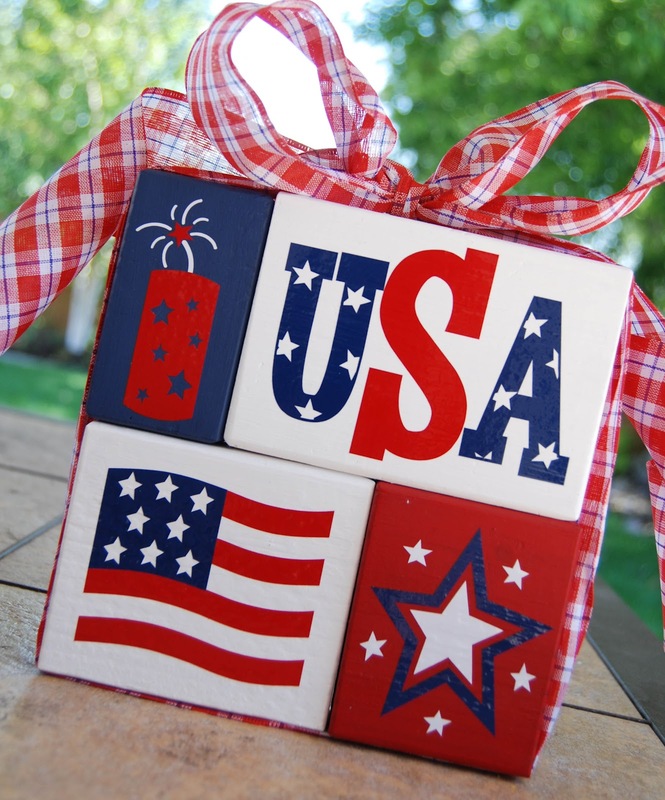 What a fun & whimsical patriotic decoration. Thank you for linking up on Fabulous Friday at Faith, Trust & Pixie Dust. LIke the person who commented before me, I don't know what a vinyl cutter is, but I think I need one. Your ideas are so cute. This is soooo attractive, smart and stylish for decorating! Thanks of sharing!